The Lean Institute Africa (LIA) is a non-profit company promoting lean thinking in sub-Saharan Africa and is a member of the Lean Global Network comprising more than 30 institutes globally. Founded by Jim Womack and Dan jones, the network is a community of thought-leaders and practitioners with the goal of making things better. LIA was established in 2008 by Emeritus Prof Norman Faull and is a specialised unit of the Graduate School of Business, University of Cape Town. LIA’s vision is to contribute to better organisational outcomes and quality of life by advancing Lean Thinking and Practice in Sub-Saharan Africa. We aim to achieve our vision by building the community of lean practitioners through co-learning partnerships, action research and knowledge sharing. Our applied research approach enables us to provide high-quality content in our workshops, experience-based facilitation in our educational programmes and high-impact results for the private and public sector organisations with which we partner. Each year we convene a national, lean conference, alternating between the Lean Summit Africa and Lean Healthcare Summit, drawing on renowned international speakers such as Jim Womack, Dan Jones, John Shook, Mike Rother, Michael Ballé and John Toussaint. Download our company brochure for more information. Rose Heathcote is Lean Institute Africa’s CEO and is dedicated to helping African organisations advance their learning and application in Lean Thinking. For more than 20 years, she has focused on raising the performance of enterprises in most industry sectors in Africa, Middle East, UK and India through Lean Thinking. 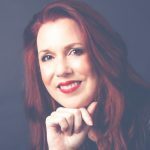 She has been privileged to work with 100+ companies, from micro through to large internationals and is the author of ‘Clear Direction’ and ‘Making a Difference’. 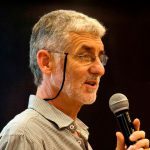 Dr Anton Grütter is a Director of the Lean Institute Africa, a Lean Executive Coach and a member of the Management team. 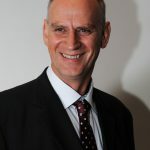 He has helped organisations to implement and institutionalise operational performance improvement programmes in industry, commerce and the public sector justice and healthcare systems for many years. 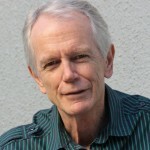 He has taught operations management at South African universities since 1993. Recently he has taught at the Graduate School of Business at the University of Cape Town and as a visiting professor on the MBA programme at Shanghai University. His PhD research was on the effective implementation of shop-floor improvement teams, his textbook “Introduction to Operations Management” was published by Heinemann in 2010. Emeritus Professor Norman Faull is the Chairman of the Lean Institute Africa, a Lean Executive Coach and formerly a Professor of Business Administration at the Graduate School of Business, University of Cape Town. 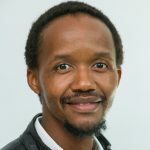 He was among the first researchers in South Africa to introduce innovative manufacturing and supply chain improvement concepts, such as lean manufacturing, into the country. In recent years he has focused on implementation of lean management in the South African public health system although his experience spans across the mining, manufacturing and service sectors. He teaches on executive programmes at UCT and elsewhere. He continues to research the area of process improvement, with particular attention to large-scale systems. Mia Faull is the Marketing and Events Manager at Lean Institute Africa. 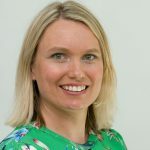 Prior to working at the Institute, she worked in London for several International Development Charities as a fundraiser, specialising in Trusts and Foundations. Lean has become a growing interest of hers, particularly in the way it has the potential to transform people’s lives. She is passionate about promoting Lean in South Africa and beyond. She has a MPhil in HIV and Society, and BA Honours from the University of Cape Town. 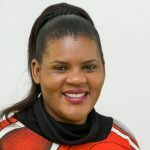 Chantélle Cay is the Events Coordinator at Lean Institute Africa and has a background in Public Administration, Business Administration and Business Management. She has been supporting the Lean Institute Africa for more than 6 years with training coordination as well as financial administration. Anna Bamu is the Financial Administrator at Lean Institute Africa and holds a Bachelor of Commerce Honors degree in Finance. She advanced her studies in auditing and tax and has been supporting the Lean Institute Africa for more than 3 years with financial administration. 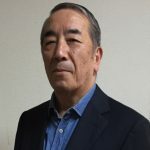 Takeyuki Furuhashi with more than 40 years experience, is regarded as an expert in the implementation of the Toyota Production System, organisational transformation and leadership development. He has supported organisations in South Africa, Great Britain, India, Italy, Romania, Mexico and China. Furuhashi has been facilitating practical workshops in South Africa across manufacturing, healthcare, mining and services sectors since 1996 and has been Norman Faull’s mentor for more than 21 years. 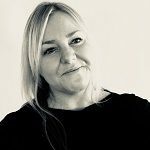 Samantha Allen has extensive experience in a variety of industries which include Healthcare, Pathology Services, Oil and Gas and Financial Services. Samantha spent nearly a decade in the UK implementing Lean Methodology and Process Optimization for the National Health Service. 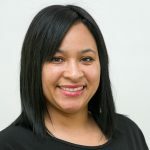 Since returning to South Africa she has been working with a wide range of organizations in designing and implementing effective Lean programs to ensure institutionalization of process improvement. Samantha has a passion for training and skills development in Lean Management and is an accredited facilitator, assessor and moderator. She is a Lean Six Sigma Black Belt and Prince 2 Project Practitioner.